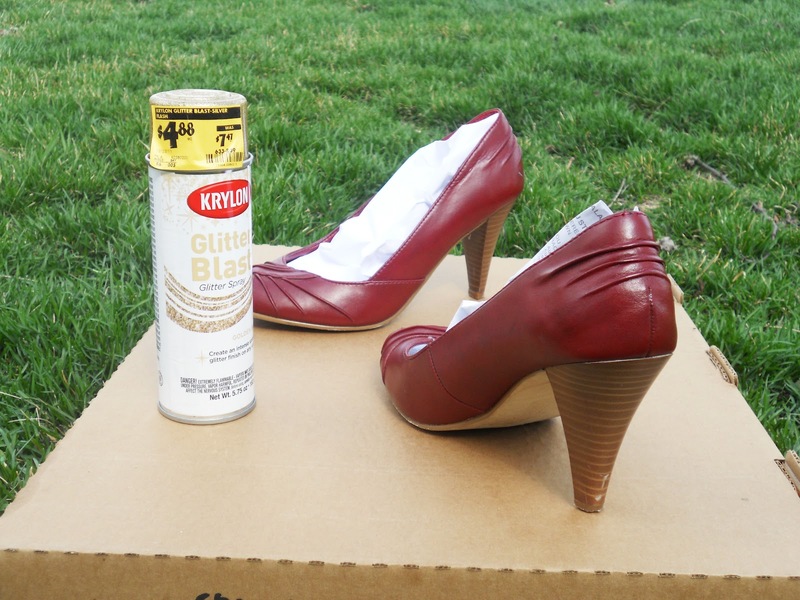 All you need is a pair of old shoes and a can of Glitter Blast. 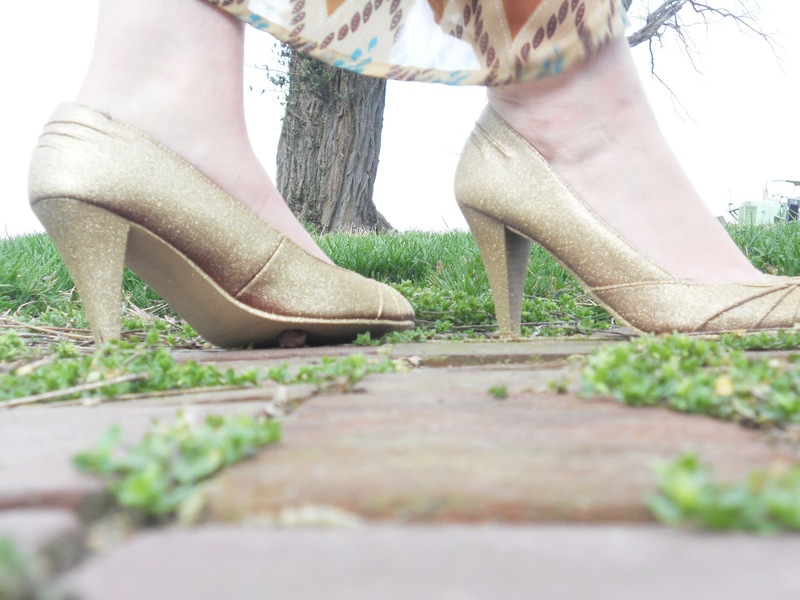 I got the shoes for $0.99 at Value Village and the Glitter Blast from Home Depot. Stuff the shoes with paper so you don't paint the insides and then start spraying LIGHT coats onto the shoes. I did a total of 3 light coats. This sounds weird, but the more coats you do, the less glittery it is. Since my shoes were red, I had to spray more than I wanted to make sure no red bled through.